If you choose to undergo cosmetic surgery the most important factor to consider is ensuring safety before, during and after your procedure. There are a number of measures which can ensure that your surgery is undertaken under the safest possible environment. This involves taking into consideration any pre-existing health problems, stopping smoking before surgery and optimising your weight. Surgery should always be undertaken in a large hospital setting with an experienced anaesthetist and specialist plastic surgery nursing care. The measures you should take before surgery are the most variable, and will depend on the individual, their lifestyle and the procedure they are undergoing. However, one key piece of advice that is applicable across the board is that smokers are advised to quit before undergoing any sort of surgery. Smoking has a significant effect on impairing skin healing and will almost invariably cause complications following surgery. Infections are also more likely and if you cough on waking up from the anaesthetic this will raise your blood pressure and can precipitate bleeding. As an absolute minimum you should stop smoking completely two weeks before you undergo your surgery, but generally speaking, the longer you can abstain from cigarettes the better. You should also fully disclose information about any medication or alternative therapies you are using to Mr. Chana during your consultation, as these could also complicate your surgery or aftercare process. Many herbal remedies and supplements contain blood thinning substances and can cause bleeding or more significant bruising during surgery. During the procedure, you will be looked after by a Consultant Anaesthetist who is highly experienced and works in NHS intensive care units. This means that you have the highest level of anaesthetic experience in order to ensure the safety during your surgery. 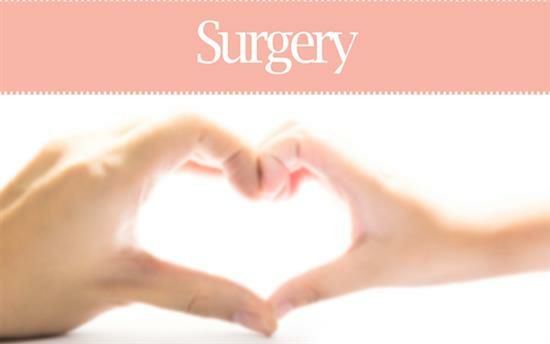 It is important also to realise that smaller surgery a can sometimes be performed under local anaesthetic. Even under these circumstances, Mr Chana’s anaesthetist will be present and a small amount of mild sedation can be administered to keep you calm and relaxed during the procedure. There is a tendency for some of the smaller clinics and ‘high street’ commercial operators to carry out larger procedures under local anaesthetic but this is not safe. This is because the dosage of local anaesthetic required for a lengthy operation could be toxic to the body. It is therefore important to point out that your anaesthesia will be administered by a fully trained anaesthetist, at a large, fully-qualified hospital with 24-hour care and supervision. Mr. Chana has carefully selected which anaesthetists to work with over the years and is fully assured of their competence and expertise. The initial aftercare, for example, the dressing of wounds, is important and should be carried out carefully by highly trained practitioners. It is for this reason that Mr. Chana works with two dedicated specialist plastic surgery nurses, who have many years in the cosmetic sector. After your surgery, there are a few general tips you can follow in order to ensure your quickest recovery possible. For any discomfort you may experience after surgery, you should only take painkillers that have been prescribed to you by Mr. Chana. Much like smoking, aspirin thins the blood and can therefore interfere with the healing process. Mr. Chana will be able to prescribe you alternative painkillers, and you can always request a repeat prescription if required. It is vital that you attend your post-surgery checks, so that Mr. Chana and his specialist team can check the progress of your recovery, as well as changing any dressings and issuing a repeat prescription of any medication you might need. The routine follows up appointments will be made before you leave hospital along with written advice relating to the specific procedure. You can expect some light bleeding, bruising or swelling after most surgeries, but if any of these symptoms seem excessive or out of ordinary, you should contact Mr. Chana immediately.All surgeries carry potential side-effects, and one that is universal is the risk of infection. However, if you closely follow the aftercare advice laid out to you by Mr. Chana and take antibiotics as prescribed, you will greatly minimise these risks. With regards to the healing process, you should make sure you take the recommended amount of time off work, and wait a while before resuming any vigorous activity like sport. Although it might seem like an inconvenience, the allotted recovery time is there for a reason, and resting in the immediate interim after your treatment will allow your body to heal properly.